Could you unknowingly be transmitting infectious diseases? The biologics product development process is complicated and extremely risky – to put it mildly. This is because there are scientific, regulatory, and manufacturing challenges not seen in traditional chemical drugs. Biologics are naturally derived from cells and tissues. They are often mixtures or complex substances. These mixtures of molecular species can be difficult to characterize as individual entities. In some cases, the active ingredient resides in a pool of inactive substances that can affect its characteristics. Some biologics have the potential for transmission of infectious diseases due to the living cells in which they are manufactured. In a sense, the manufacturing process serves to define these biologics. Quality control of the manufacturing process as well as the final product is necessary. The introduction of adventitious agents and other contaminants. These may not be detectable in final product testing. For these reasons, the methods and reagents involved in the production process should be defined. Applying current Good Manufacturing Practice (cGMP) regulations to these living organisms is not as straightforward as with a chemical synthesis process. Chemistry, manufacturing, and controls (CMC) sections of FDA applications should demonstrate an understanding and adherence to FDA cGMP relevant to your phase of development. Our biologics consulting group of FDA experts can assist you in the application of cGMP to your biologic. The reason why our work is unique is because our people are former FDA inspectors and authors of FDA Guidelines themselves. Our biologics consulting experts can help you. advise you in their interpretation and application to your specific issue. Establishing which cell characteristics are critical quality attributes (CQAs) of cell- and tissue-based biologics is crucial to gaining FDA biologics approval. These CQAs must be maintained during manufacturing process development and scale up to bridge therapeutic efficacy seen in preclinical studies. This is crucial in both early and late clinical development. and quality of these biologics. A variety of analytical tools and methods are available to help you. However, selecting these methods can be challenging due to the characteristics of biologics. Methods for the determination of identity must confirm that the product contains the intended cellular and non-cellular components. Potency testing must measure the inherent or induced biological functions(s) that is relevant to treating the intended clinical indication. Purity tests must ensure that the product does not contain undesired components, such as contaminating cell types or residual process reagents. 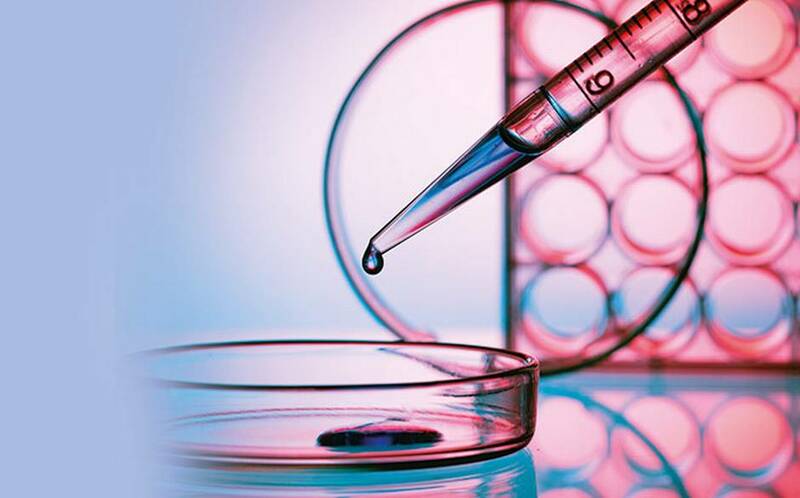 Biologics are sterile products; therefore, safety testing must confirm that the product does not contain microorganisms, adventitious agents, or contaminants. Our biologics consulting approach has always been interdisciplinary, with a strong emphasis on the science underlying the product and FDA regulations. Accordingly, our backgrounds are relevant and important for our FDA biologics consulting work. An advantage for you is that we require a minimum introduction and education of biologics in general. Many biologics elicit immune responses. In some cases, these effects are desired (e.g., with a vaccine), but unwanted immunogenicity might be harmful. The ability of a biologic to elicit an immune response must be studied in clinical trials. We can assist you in determining if the benefits of your product outweigh the risks of an immune response by conducting an immunogenicity risk assessment. The Center for Biologics Evaluation and Research (CBER) and the Center for Drugs Evaluation and Research are the Centers within FDA that regulate biologics for human use under the Public Health Service (PHS) Act and the Federal Food, Drug and Cosmetic (FD&C) Act. “A PRIMER ON CBER’S REGULATORY REVIEW STRUCTURE AND PROCESS” written by Suzanne M. Sensabaugh, Biologics Consultant, HW, when she served in the FDA. With our former FDA and industry experience, we provide you with advice on regulatory, product development and cGMP for biologics. We are well positioned to assist you in gaining FDA biologics approval. 120 products. Our input ranges from drafting product development plans to preparing FDA meeting packages and leading FDA meetings to writing, compiling and submission of Investigational New Drug Applications (IND) and Biologic License Applications (BLA). We provide a full spectrum of biologics consulting services. Our extensive experience and proven track record can offer you an unmatched level of industry insight. Curious about our pricing or process? Wondering how we can help your unique case? Contact us right away – we’d love to help.